Everybody wants to be beautiful, but everybody understands beauty in his own way. How to become beautiful? What is beauty? Useful tips for a young lady. Do you want to be beautiful? Do these things. Well, everybody in your age wants to be beautiful and unrepeatable. Don’t worry if you don’t look like those models who are looking at you from the covers of fashion magazines. You are unique; hence, you are beautiful. It is clear of course that words don’t mean much, that is why there are some tricks to make you feel better about your appearance. Therefore, urgent help for the dissertation writing provided some useful tips that help in most situations. But you are smart so, please, make sure you don’t follow all blindly but select those tips that you need. Then, you will be not only beautiful, but you will keep your natural advantages and highlight them. How often do you wash your face? Well, to keep your facial skin in a proper condition, you should do it at least twice a day: after you wake up and before sleeping time. If you wash it with soap, you are making a mistake. Soap dries your skin out. It is better to use a special face cleanser, just make sure you select the one that is suitable for your skin. Do you have doubts what to select? Well, don’t worry, cosmetologists are available anywhere now, and their services aren’t expensive. Ask your friends, read feedback on the web to make sure you select a good specialist because you know, they are different. Remember that scrubbing your skin is a bad habit. You will damage your face and it can get irritated. After you are ready with the face cleaning procedures, splash your skin with cold water – this gives a fresh feeling and makes your pores minimize. make up is not a good thing to wear when you are sleeping. Always remove it before the sleeping time. You don’t want pimples or acne in the morning, do you? It is really good to visit a cosmetologist before you start using a cleanser. A cleanser that doesn’t suit you might bring you more problems rather than solutions. Have you noticed by the way that in the hot season your skin may turn fatty, while in winter it may become dry? Yes, this is normal, and this is something you also should consider when selecting cosmetics for your face. A properly selected toner and a moisturizer will complete the skin care procedure. The toner seals pores and restores the natural skin balance. A moisturizer will keep your skin smooth and shining. These cosmetics will be, most likely, different during different seasons. When it comes to skincare, everything is very individual, so, you should listen to, in the first line, to your skin. Yes, you might feel envy toward those beautiful sporty girls with a bronze suntan. But have you felt that discomfort when you get burnt after staying too much in the sun? This is for a reason. Too much sunshine is dangerous, and that uncomfortable burning is just a small problem. Too much exposure to the sun rays leads to serious burns and even skin cancer. That’s why don’t overdo with the sun. Having some tan is nice and healthy but getting burnt is already excessive. By the way, do you use a sunscreen? Maybe it is time to start using it? Makeup – Who Told It Is Bad? Makeup isn’t bad. It accentuates your natural beauty. There is no problem if you wear it, and even there is no problem if you wear it every day. Just make sure you use good quality cosmetics, otherwise, your skin may get irritated. One more thing: you have to remove makeup every time before you go to sleep. You don’t want to look like an ugly monster when you wake up, do you? Also, you don’t want your skin to look dull and tired? Probably, you have heard that soft drinks, sweet, fatty or spicy food are bad for your skin. Moreover, they are bad for your weight. You don’t want to weigh 100 kg when you finish the university? Then start eating fruit and vegetables. Cereals and lean meat are good, as well. The choice is huge, and you always can find something healthy and tasty. Why then spoil your figure, health, and beauty with bad food? Beauty is not only in appearance but about the character and feeling positive. Do you really think somebody will like that murky girl? Even if she is wearing the most beautiful makeup, even if she has the most amazing figure and face, people will be trying to keep distance. Hence, smile and be friendly and open to people and the world. Then, you will see very soon, how many people believe that you are beautiful. 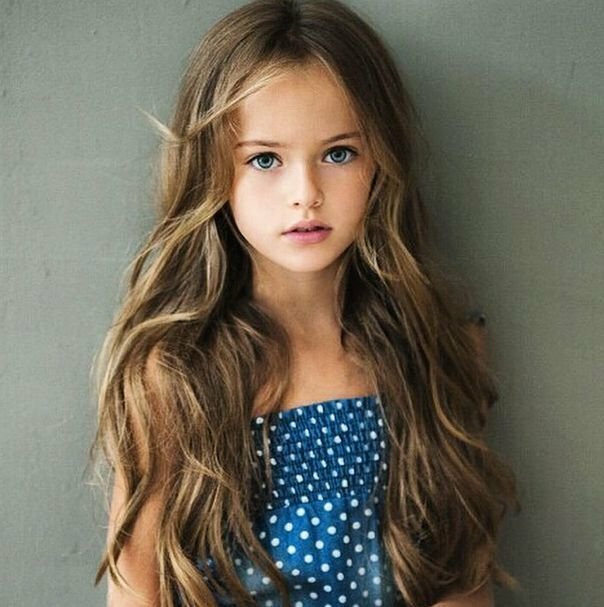 Many young girls still believe that beauty is about bright makeup, ultra-fashionable clothes, and all external attributes. However, beauty is rather a combination of a healthy natural look and a positive attitude to life. Take care of yourself, your health and your mood, and everybody will tell you that you are beautiful.